14 “This is a day you are to commemorate; for the generations to come you shall celebrate it as a festival to the Lord—a lasting ordinance. 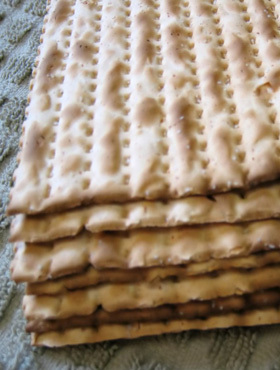 15 For seven days you are to eat bread made without yeast. On the first day remove the yeast from your houses, for whoever eats anything with yeast in it from the first day through the seventh must be cut off from Israel. 32 “We tell you the good news: What God promised our ancestors 33 he has fulfilled for us, their children, by raising up Jesus. As it is written in the second Psalm: “‘You are my son; today I have become your father. 34 God raised him from the dead so that he will never be subject to decay. As God has said, “‘I will give you the holy and sure blessings promised to David.’ 35 So it is also stated elsewhere: “‘You will not let your holy one see decay.’ 36 “Now when David had served God’s purpose in his own generation, he fell asleep; he was buried with his ancestors and his body decayed. 37 But the one whom God raised from the dead did not see decay. That same night they are to eat the meat roasted over the fire, along with bitter herbs, and bread made without yeast. 9 Do not eat the meat raw or boiled in water, but roast it over a fire—with the head, legs and internal organs. 10 Do not leave any of it till morning; if some is left till morning, you must burn it. 11 This is how you are to eat it: with your cloak tucked into your belt, your sandals on your feet and your staff in your hand. 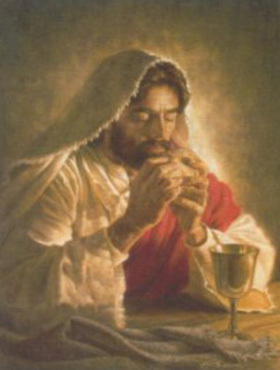 Eat it in haste; it is the Lord’s Passover. After seven days Jesus will once again reveal himself one final time to Israel – the last fulfilment of the seven festivals – at the Day of Atonement when he will come again at the final judgement. The final earthly journey of Israel and mankind before his glorious millennium rule.